Succession planning and replacement planning are both strategies that are incredibly important to the lifeline of any organization. However, these two processes are often confused, even by senior organizational leaders. Despite the focus that boards and C-level leaders have placed on organizational talent strategy, I often encounter organizations that still equate succession planning with creating a list of replacements. I refer to this approach as the "names in boxes" method of succession planning. What distinguishes the two is basically the difference between executing short-term and long-term strategies. Do organizations need to employ one or the other, or are both strategies necessary to be successful? I would argue that the two talent strategies must work together. 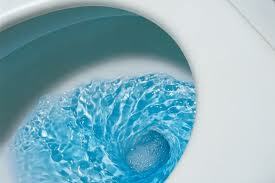 The cyber revolt against Marissa Mayer’s telecommuting ban has been fast and furious. “Aren’t flexible working relationships, flip flops and free lunch the mainstay perks of tech companies? !” netizens shouted. While Yahoo bucking the work from home trend has largely been voted a fail across the web – even Richard Branson weighed in on his blog – this action brings to the forefront some absolutely huge employee performance management issues that must be addressed by leaders managing a virtual workforce. of many reinvention strategies. While we are certainly not privy to all of the internal justifications, a Yahoo source informed All Things D (the original recipient of the leaked HR memo) that in certain cases the arrangements were allowing for lackluster performance and a focus on side projects at the expense of real work. Further, the official HR note blames working from home for sub par “speed and quality”, while insisting that physical presence in the office will enhance “communication and collaboration”, and “decisions and insights”. Has Yahoo HR conducted research (as the Google People Analytics team does with PiLab) showing that telecommuting is a driver of the factors mentioned in the HR communication? 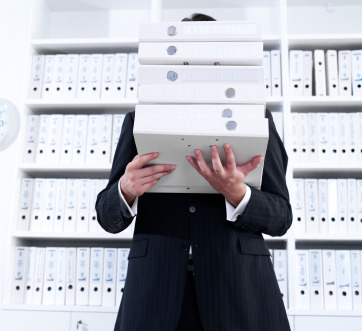 Is there evidence that office staff are more productive than telecommuters? Have they drilled down into the data for specific business units, departments or managers where the issues are occurring to reinforce key leadership and managerial competencies that drive high performance and engagement? Have senior managers been held accountable for their virtual team’s execution of strategic objectives linked to the Yahoo reinvention? Likely not - otherwise HR surely would have backed up these claims in their memo. providing insights that challenge the status quo and push the organization forward. 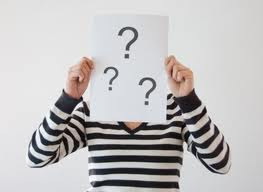 As highlighted in a recent Harvard Business Review blog post by Keith Ferrazzi, we must avoid managing by observation – the early in, last to leave employee may not necessarily be the most productive or even a high performer . Instead, HR needs to provide senior leadership with tools for measuring both the “what” and “how” of performance. When these metrics are utilized the “where” factor is not important – after all, one virtual employee may sacrifice quality to avoid missing yoga, while another is scheduling conference calls with Australia at 10 p.m. to close deals. The most effective way to measure performance is always about both goal accomplishment and the behavioral competencies one utilizes in their work. Both are readily measured when done correctly, even during “virtual observation”. If all of those ratings, comment reviews, and one-on-one meetings have left you with a bad case of feedback fatigue, you needn’t worry – it is about time to put it all to rest. Before you call it a wrap though, use this time to conduct a post-mortem audit that will help identify what worked best – and what must be changed going forward. 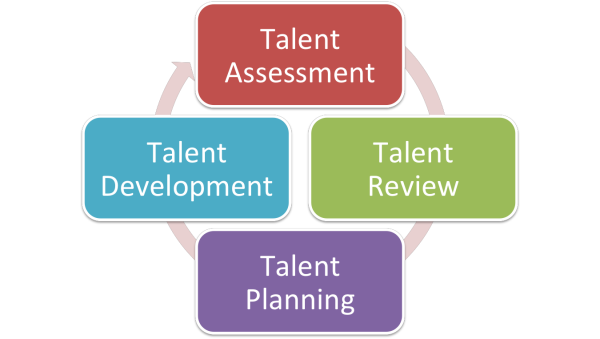 The Talent Review process critical component of Succession Planning and Talent Management. Talent Review provides an opportunity for a leadership team to get together and discuss the performance and potential of the talent pool. 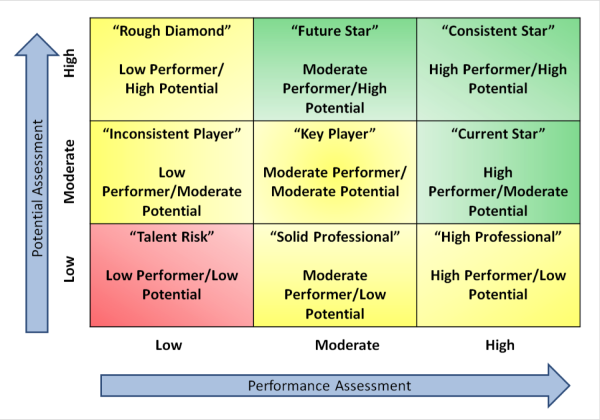 Organizations frequently use a variation of the 9 box grid as a tool to facilitate discussion and make talent decisions. The 9 box is a simple, yet powerful, tool to facilitate Talent Review discussions. In order to come out a winner in the global talent crisis, companies must attract high performers with the skills necessary to lead the organization into the future, as well as retain high performers. Failure to take action on low performance, taking the necessary steps to bring about improved performance or move low performers on to better fitting positions or out of the organization, will greatly reduce a company’s ability to win.